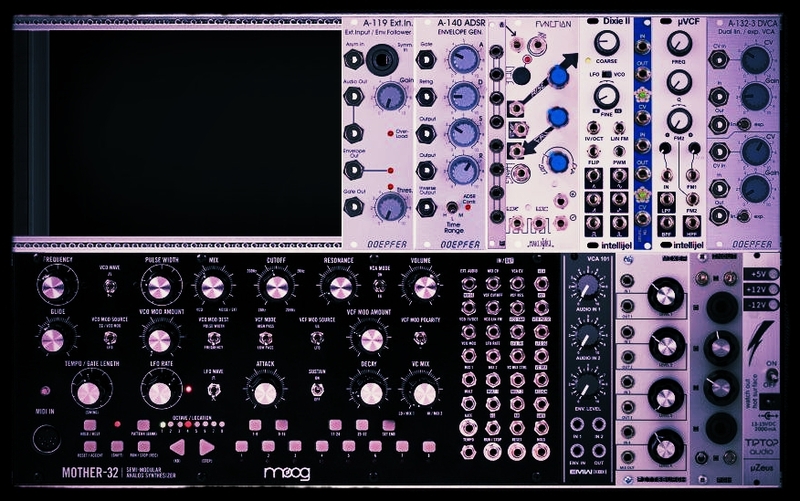 Man, it's been raining a lot lately, oh well, how about some more modular fun! This is basically the same patch from last week with a few small tweaks. SkyLab got into this dark sounding 3/4 groove with the same three voice structure as last week. I moved a few wires around, adjusted some attack and decay times and added CV to the Interval control of the tELHARMONIC. I did, however, forget to use the Shades to modulate the rotate control of the RCD, maybe next time. Bass player in the Tampa Bay area for over 30 years.